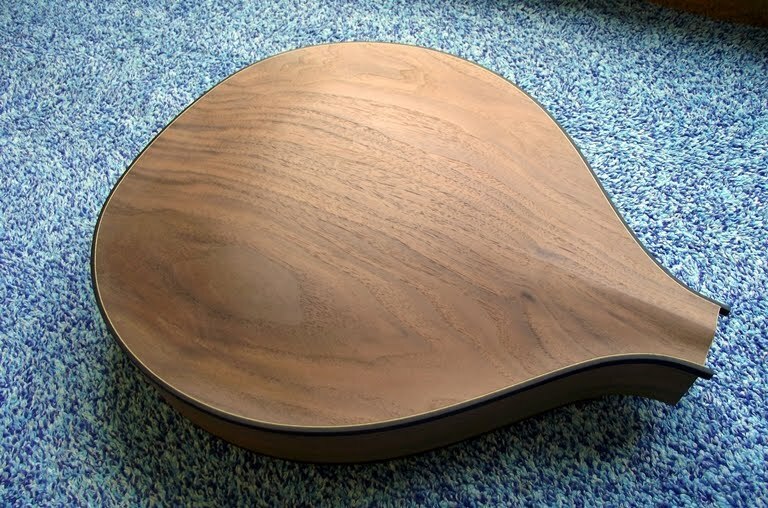 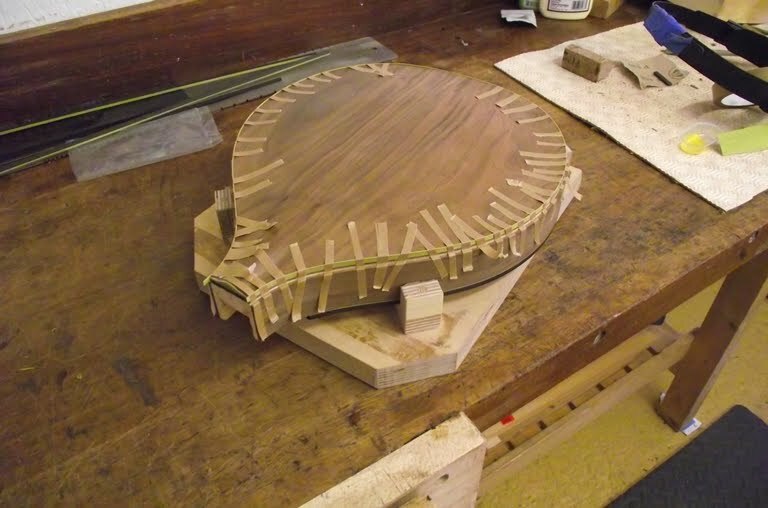 A Luthier's Blog: Archtop #2; back to it! 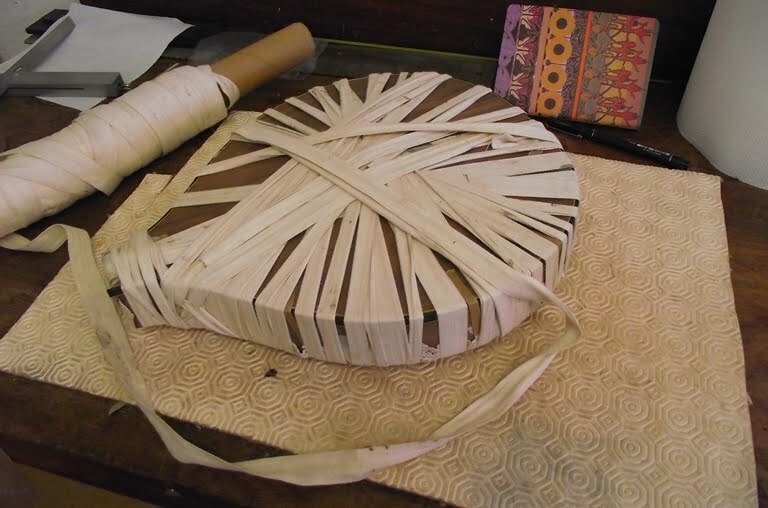 With the bending iron fixed, it’s time to get back to some instrument work! 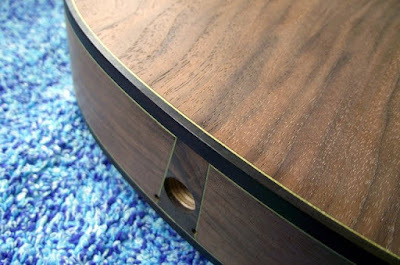 So, I’ve been working on the purflings and bindings for archtop #2. 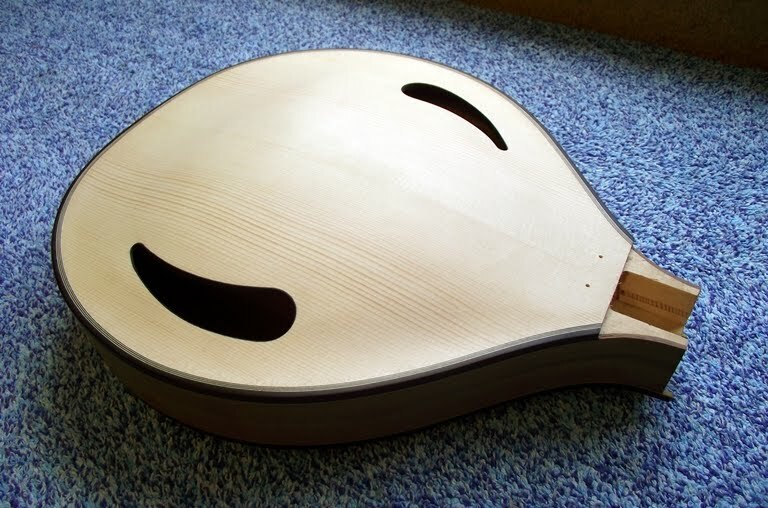 This mandolin is having fancier purflings; the main feature is a green line running around all of the edges. 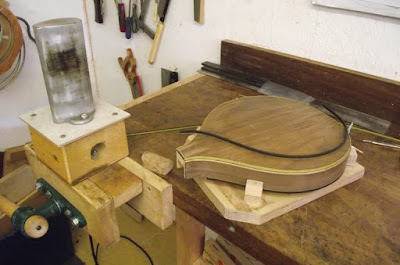 The green line is also in the neck laminations, head overlay and tailpiece. 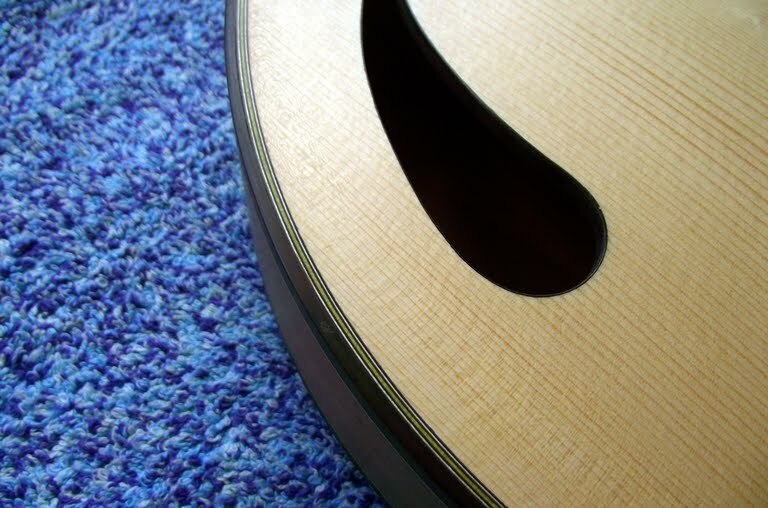 Coloured lines work surprisingly well as decoration on instruments-as long as you don’t go over the top and keep the design coherent throughout. I’m really pleased with overall effect on the body- the ebony bindings making it all look very elegant. Next the neck.